Okay, I tend to be anti nostalgia as a rule. And WoW Classic servers are basically just that, so I’m on the back foot here. But I played Warriors back in Vanilla — I raided all the way up to Naxxramas 40 — so it would be fair to say I know a little something about how the class played. So what was different? 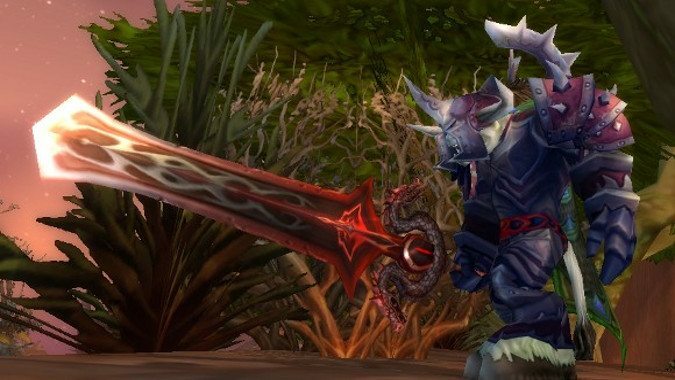 Honestly, the weirdest thing for modern players who play Warriors on classic servers is going to be wearing leather and mail gear while using daggers. I’m not kidding. This isn’t me trying to be funny. You’re going to end up doing these things if you want to do anything aside from tank. Of course, it’s actually kind of hard to discuss classic because it lasted for over two years and saw a lot of patches. Things changed as new raids came out and new gear became available. But let’s give it a try. 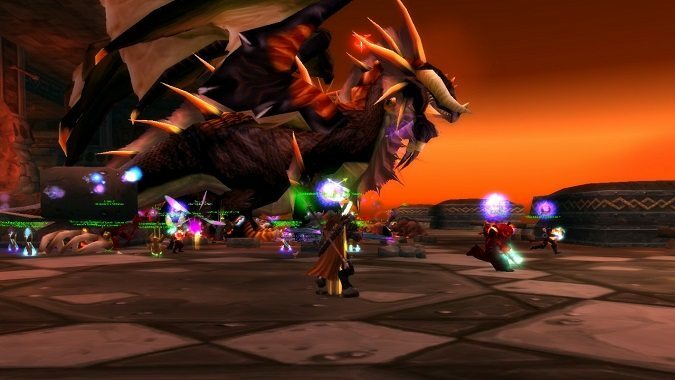 Here’s what it was like to tank and DPS on a Warrior back in the day. Talent trees were filled with unnecessary cruft you had to take to get the stuff you wanted, and many of them were talents you just kept taking. Cruelty, one of the most necessary talents, was just crit chance: 1% crit for every talent point you spent. So you’d dump five talent points there, because that was 5% crit you didn’t need to get from gear and it would help your rage generation. 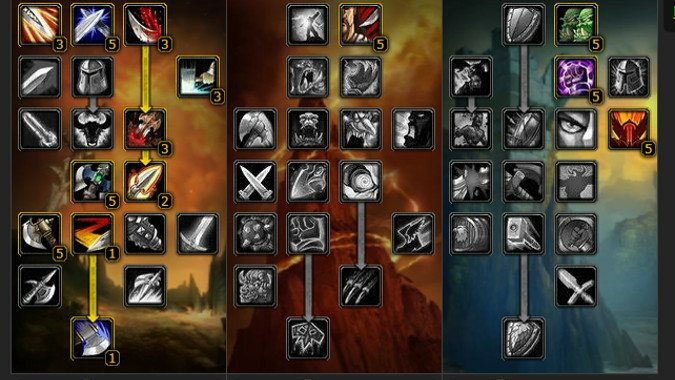 This was the era of cookie cutter builds, like 31/5/15 for tanking, 31/20/0 Arms, or 3/46/5 for Fury Slam. You didn’t pick talents based on customization or what you wanted to be good at: they were chosen either because they were flat damage buffs or required to get to the talents you wanted. Wars were fought over which Weapon Spec Arms Warriors should choose: Axe with its flat crit bonus, Sword with the chance to proc another swing, Mace with its stun (which didn’t really get good until Stunherald in BC), or Polearm which was exactly the same as Axe spec only with Polearms which meant you took it when the Doomsaw dropped and otherwise used Axe spec. You leveled as DPS or you got comfortable with never killing anything. Leveling in Protection spec back in Vanilla was an exercise in waiting for stuff to die of old age, and it wasn’t helped by the fact that Warriors had no self healing at all. No Victory Rush, nothing. If you were a Prot Warrior, you plinked away with auto attack and Shield Slam damage. Sunder Armor didn’t do any damage and we didn’t have Devastate. Heroic Strike, Revenge, and SSlam were basically it. Thunder Clap only hit four targets. Spell Reflection and Intervene didn’t exist. Still, some Warriors leveled as Protection. Not many. Even in raids, the standard tanking spec wasn’t a Protection one: most tanks were 31 in Arms for Mortal Strike, with 5 points in Fury and 15 points in Protection. I personally preferred to tank while specced Fury. It wasn’t a tank spec at all — it was actually a Slam build designed for 2h weapon DPS — but it had good rage generation (and you could level with it). One thing all Warrior specs had to keep in mind back then was that leveling meant stopping to eat and/or bandage after almost every fight. Warriors had essentially no self healing. Bloodthirst and Blood Craze were… to be polite, let’s just say they were less than effective. If I were being impolite but more accurate I’d be using a lot of swear words. 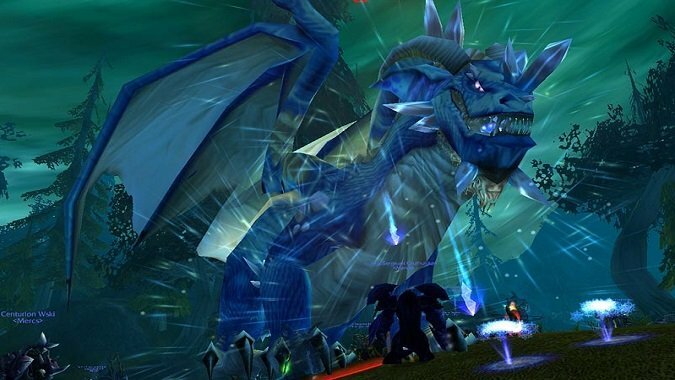 So no matter the spec, you basically had to stop and eat after every single pull while out leveling in the world — even if you were full Protection because it took you so long to kill things that often respawns would pile on while you were trying to kill the second mob you’d started fighting. And then there’s Weapon Skill. Weapon Skill was why you’d end up wearing a pair of Mail gloves, sometimes even while tanking. Weapon Skill was why you’d get an awesome weapon upgrade that was miles better than what you were currently using, equip it, and start missing every swing because you’d never used an axe before. There were good points. Charge didn’t work in combat but it was awesome outside of combat. It was a great way to start a fight with some rage, but it was annoying when you were about to charge someone, they’d aggro you, and the button would grey out and you’d swear. But still, when it worked, it was as sublime as World of Warcraft got. My experience of endgame in Classic was the following. First, I got to sixty, which wasn’t the easiest thing I ever did. Then came the dungeon runs. I ran so many dungeons. I tanked numerous Dire Maul runs to get my hands on the Quel’Serrar tome. I tanked so, so many Stratholme, Scholomance, Lower and Upper Blackrock Spire runs for Dungeon Set 1, the Battlegear of Valor. I think I ran the combined Lower and Upper Blackrock Spire at least once a day for months. I was the tank on all of these runs. 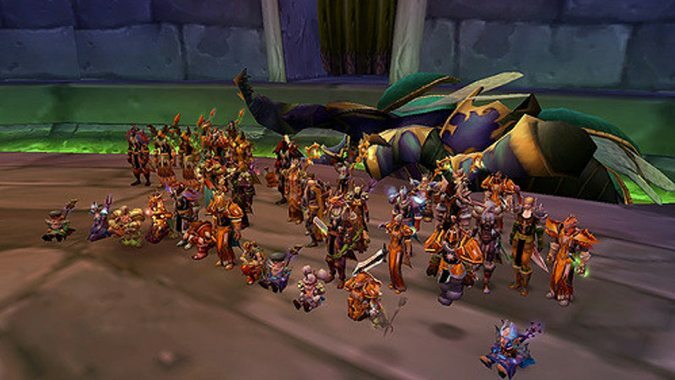 DPS Warriors were a thing, but no group was going to bring one unless it was a 10 or 15 player group running UBRS, and even then if you wanted to get to go to a dungeon you’d likely be tanking. Especially since, at least in endgame dungeons, Warriors were the only tanks most groups would accept anyway. It was a far cry from The Burning Crusade, when Paladins and Druids would dominate dungeons as tanks. In Vanilla, Warriors were tanks whether they wanted to be or not. And the experience of tanking in Vanilla — with no big way to grab snap aggro on multiple mobs, a heavy reliance on CC to keep pulls controllable, and so, so much trash to deal with in every pull — would shape you in ways you would still be dealing with over a decade later. I still corner pull more than any other tank I know. Frankly, I think being a Warrior tank in Classic was probably the best part of the experience for me. You didn’t have to be Prot to do it — I tanked both in Fury and Arms and never had any problems. After a while, all my dungeon running meant that I was suitably geared to get into a guild running Molten Core, and found myself tanking Onyxia and heading into Blackwing Lair. That’s when I found myself as one of several Wariors and realized that most boss fights didn’t need six to eight tanks, but most trash pulls did. It was a strange and confusing time to be a Warrior. You’d suit up in your tanking gear and clear your way to the next boss, and depending on the fight maybe you’d be one of several tanks, or maybe you’d just switch to a gear set that made you look like you’d been drinking paint and swing a big weapon around. Or you’d put on your mail gloves, leather shoulders and hat and pull out two daggers. Warriors were weird back then, man. Oh, and get ready to fight with Rogues and Hunters for gear. Most Agility gear had Attack Power on it, which made it good for us too — we’d get damage from AP and crit from Agi. Most DPS Warriors wore at least the Edgemaster’s Handguards and various leather pieces before they managed to put together a plate DPS set using Molten Core, BWL, and either Zul’Gurub or AQ10/40 gear. And those plate sets were, to be nice, garish and hideous. In the end I found PVP to be a better way to put a DPS set together. Look, let’s just admit it. You could get a Blackhand Doomsaw or Arcanite Reaper and head into battlegrounds and kill everyone. Sure, you’ll die. You’ll die a lot. But when you die, it will be either because literally everyone jumped on you as soon as they saw you or after you killed like six guys. Once you get a Grand Marshal/High Warlord weapon and some decent armor you’ll be death on legs. I loved PVP in Classic. Was I good at it? Not nearly as good as some people. But I still loved it. My Tauren Warrior tore people’s faces off. I went from a Doomsaw to the Unstoppable Force and eventually a High Warlord’s Greatsword and I loved it. I died constantly but I enjoyed it because I could do Intimidating Shout fearbombs that sent the other team scurrying and I almost always wrecked at least one fool before I went down. Usually two or three. One time a Priest and I held the Lumber Mill against the Alliance by ourselves while the Horde team ran around capping literally everything else. It was glorious. You’re going to be exhausted if you want to get anywhere and it doesn’t get really fun until battlegrounds, but PVP will be awesome on Classic servers for us. 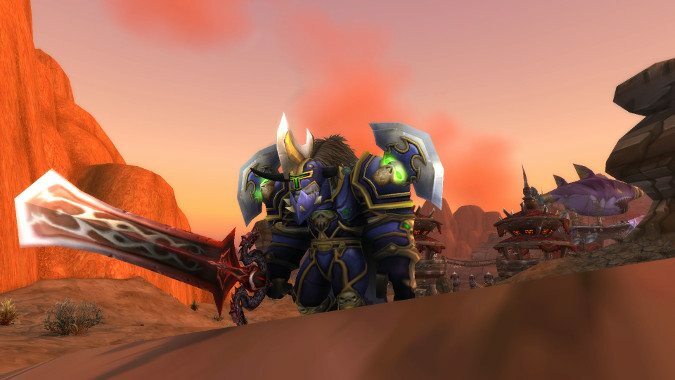 Going back into Classic on a Warrior is going to be a resurgence of things we’ve long since lost. Defense on gear, Weapon Skill making getting a new weapon a baffling ordeal, and DPS gear that was either for other classes or Halloween appropriate. Well before everyone complained about their clownsuits in The Burning Crusade, DPS Warriors looked like clowns, and we’re going back there. There will be abilities that don’t exist or don’t work the way they do, tanks not bothering to take tanking talents, and sitting down to eat more than you would have thought possible. And it’s still going to be the best class in the game. So get ready for that.